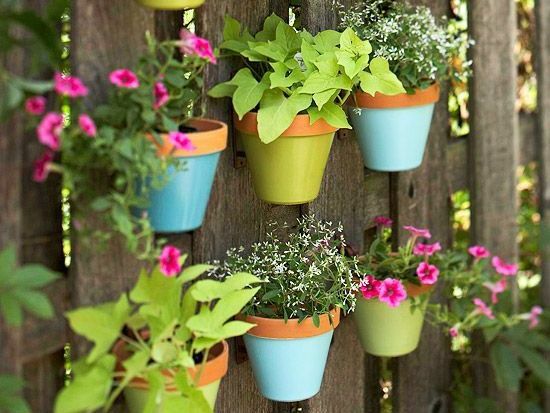 Are you looking for some crafty ways to give your garden or yard a makeover without breaking the bank? 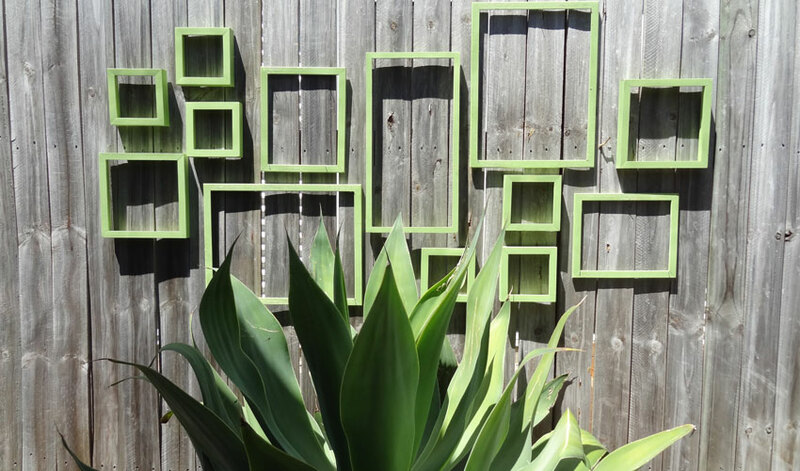 We’ve gathered a selection of some of the most exciting ideas for sprucing up your garden or patio by framing the entire space in DIY art. 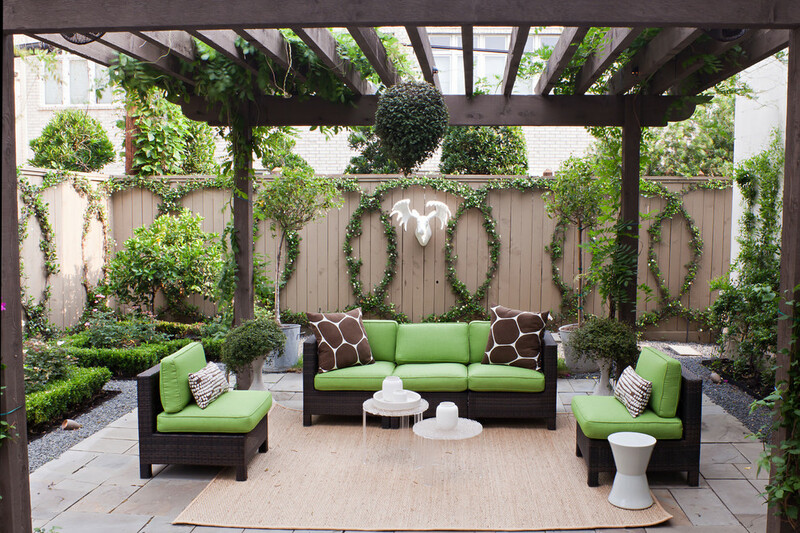 The fencing surrounding your outdoor space doesn’t need to remain simply a border. Getting creative with some low cost materials can utterly transform the way your garden looks. With each of these entries we’ve included a source link, so that you can see just what goes into creating the unique look. Most of these are straightforward creations you’ll be able to craft after simply seeing the picture, while others involve a few steps of preparation. The best part is that none of these projects will cost you much money, if anything. Being able to brighten your personal space with hand-crafted art and beauty, on the cheap, is a wonderful thing! This is the most open ended of ideas, because you can salvage almost anything to create a bit of fun outdoor art. 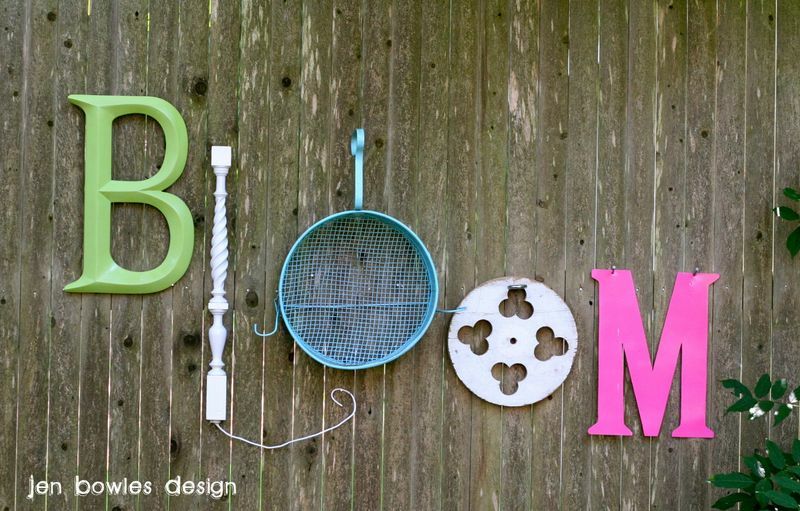 From unused kitchen items to car parts, bottles, and cutlery, anything can be mixed, matched, and transformed into a bold decoration for your fence. This idea is very effective for how little work it takes. 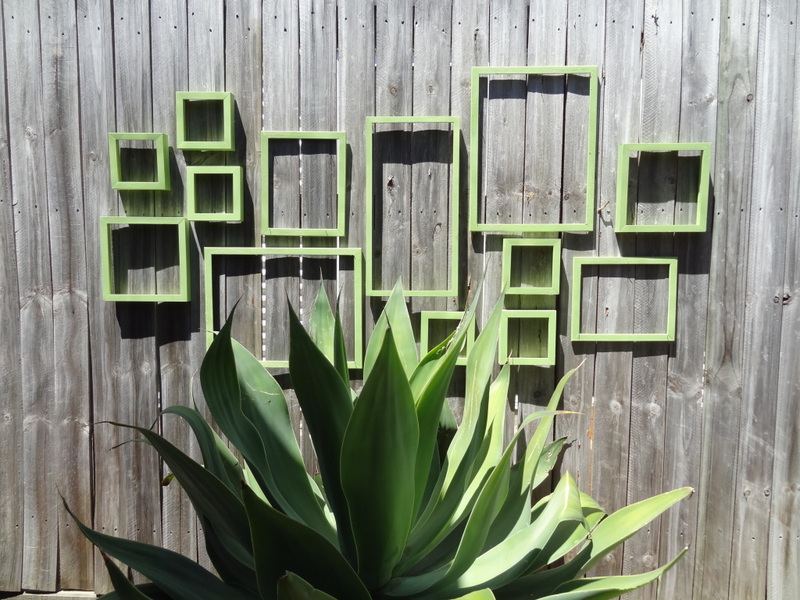 Grab any old frames you have lying around, or buy some plain, cheap ones, and paint them a color that you feel compliments your garden best. Mix colors up, or set a uniform tone as seen in the photo. Simply framing an object tends to add focus and appreciation, fences included! You can always let vines naturally grow on a fence, adding lush greenery to a basically plain part of your environment, but crafting them into something specific and personal adds a whole new layer of interest. Our example shows a set of interlocking rings on a fence, but almost any pattern can be yours with some time and the right tools. Since you’re already gardening, why not extend your green thumb to the fence itself? More controlled and more varied than using vines, hanging potted plants on your fence offers an inspiring new way to add greenery or flowers to the garden. Almost everyone will accumulate bottles at home, from sodas, beer, or wine, so the supplies are ready made for this project. Choose specific colors, remove and reuse the labels, or go in your own particular direction here. 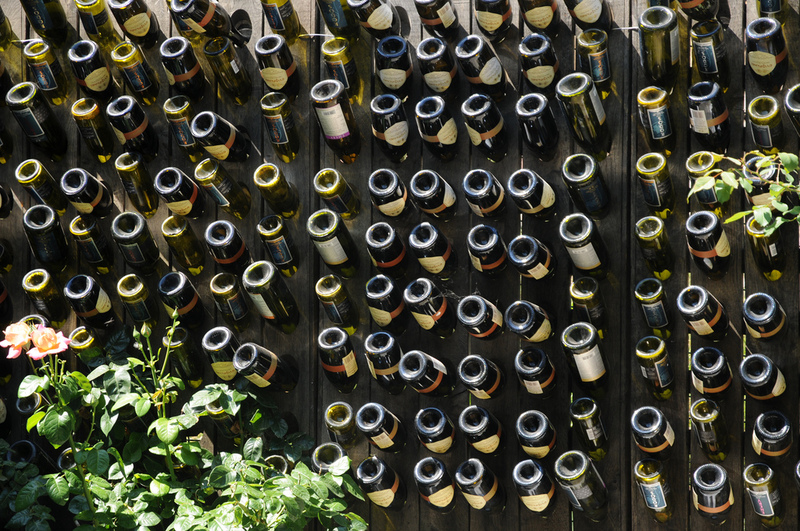 Our example shows one particular way to mount bottles, but the options are vast. Maybe you’ve got some painting experience, or you know an artist or two. 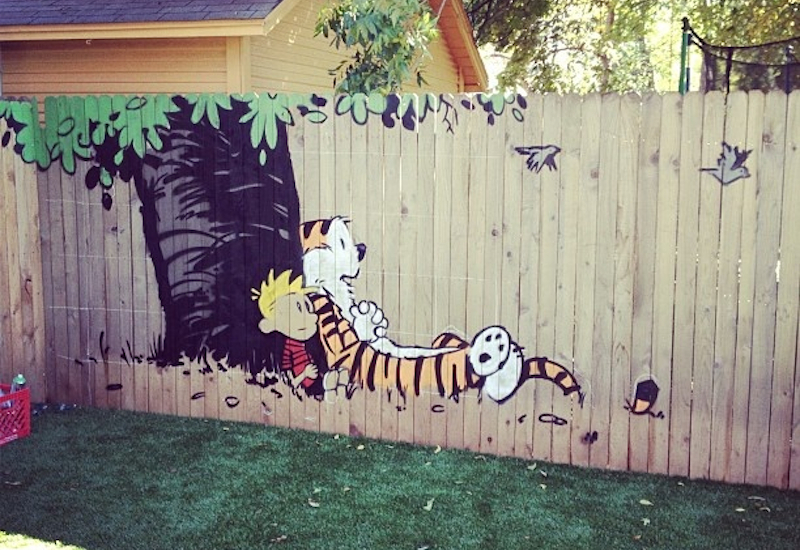 Painting a mural on your fence can be a jaw-dropping way to add some beauty and personality to the yard. 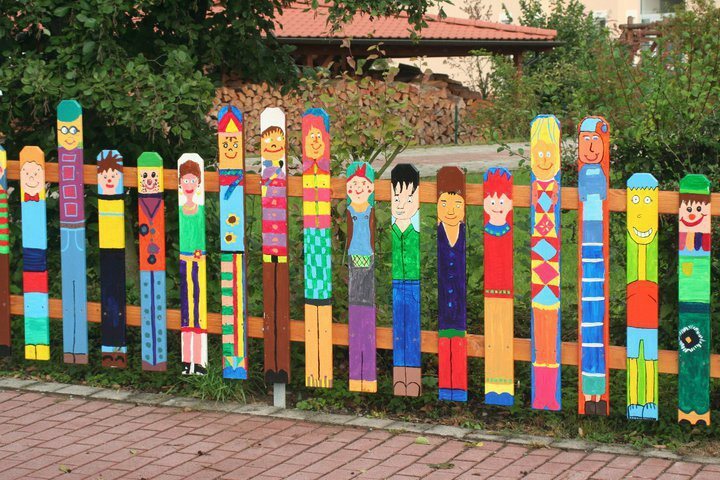 Our example image shows each post painted with a different person, but as you saw at the top of this post, large-scale images can cover the entire fence. 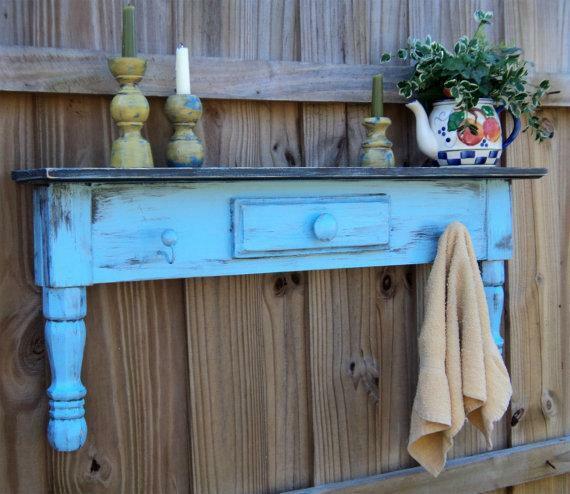 If you’re handy with a saw and some light hammering, try repurposing an old coffee table into a truly unique fence decoration. With this piece hanging in your yard, you’ll have an instant conversation piece for anyone enjoying the view. Mirrors make for a particularly striking presence in the outdoors. 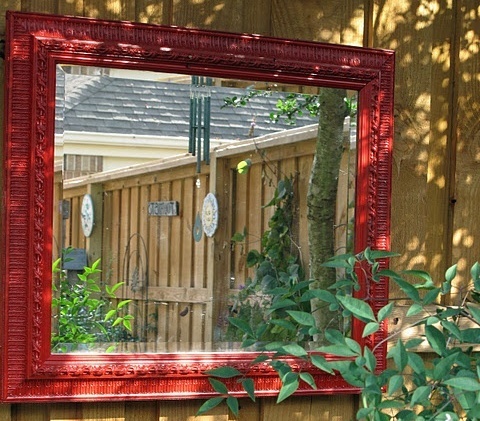 One of the few decorations reserved almost exclusively for interiors, a mirror can add an ethereal touch to your garden. If you’ve got an old fashioned model, pictured here, you can repaint the frame to something bright and colorful, making the whole thing really pop. Old dish ware can make for excellent outdoor decoration. 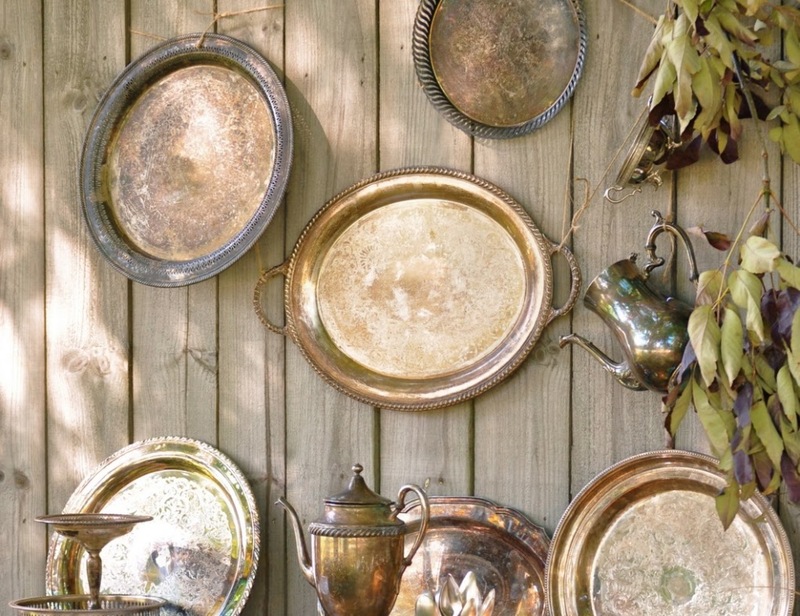 Silver platters, in particular, are well suited for adorning your fence. They’ll wear and age with the weather and look fantastic, complementing any surroundings. Here’s a way to both figuratively and literally light up your garden! 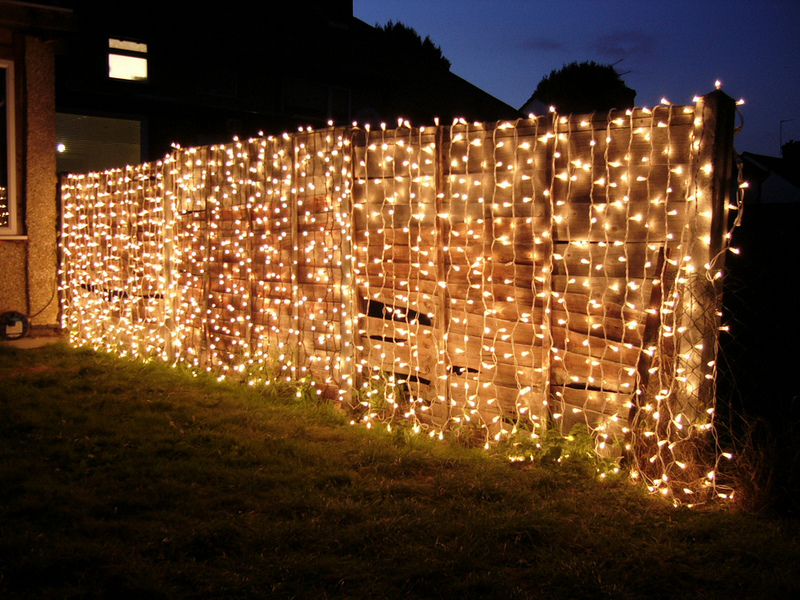 Curtain lights are meant to be hung in long strands, creating a sort of waterfall of light on your fencing at night. Perfect for subtly illuminating your outdoor space for gatherings, or just casting a warm glow over the flowerbeds, this idea is extremely easy to execute. We hope you’ve enjoyed these spectacular fence decorating ideas as much as we have. Each of these projects shows that it takes more creativity and energy than money or time to make your garden a special place!